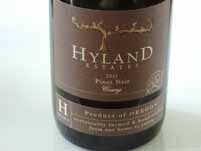 In 2007, Danielle Andrus Montalieu and Laurent Montalieu (along with partner John Niemeyer) added the 204-acre Hyland Vineyard in the McMinnville AVA to their estate vineyard holdings. 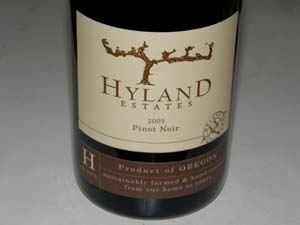 Hyland Vineyard is one of Oregon's largest and oldest vineyards, dating to 1971 when four families planted this property in the Coastal Range foothills southwest of McMinnville. The vineyard has been a source of fruit for many notable producers in the Willamette Valley. Over 47 acres are planted to old own-rooted Coury clone Pinot Noir, and newer plantings include Pommard, Dijon 777, 115, 667, 828 and 114, and additional grafted Coury clone. There are smaller amounts of Chardonnay, Riesling, Gewürztraminer and Müller-Thurgau as well. Noted viticulturist Joel Myers manages the vineyard. The inaugural releases from the 2008 and 2009s vintage were produced at NW Wine Company in Dundee where an adjacent tasting room is open daily. 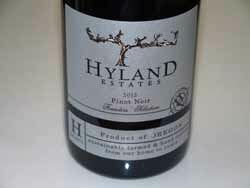 Pinot Noir from Hyland Vineyard is also produced at the Montalieus' Soléna and Grand Cru Estates property in Yamhill.